A '''function''' is something defined in code which carries out an instruction or set of instructions and may or may not have inputs and outputs. The builtin functions which are provided by the various games themselves are referred to as '''commands''', and are called in a different manor to functions which are defined within [[Script_(File)|script]]s. Functions were first introduced in the [[Operation Flashpoint: Resistance Version History|OFP: Resistance]] patch. Parameters for functions are available to the function as an [[Array|array]] via the [[Magic Variables|magic variable]] [[_this]]. There is no implicit declaration of function parameters in scripting, nor variable typing; all variables that are passed to the function must be accessed via _this. Common practice for defining parameters is done via the use of [[private]] variables and defined variables. Functions were first introduced in the [[Operation Flashpoint: Resistance Version History|OFP: Resistance]] patch. Functions are strictly limited to [[SQF syntax]]. 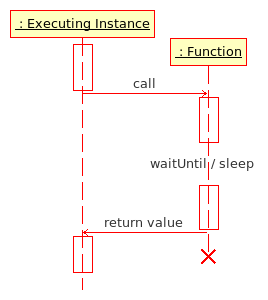 Parameters for functions are available to the function as an array via the magic variable _this. There is no implicit declaration of function parameters in scripting, nor variable typing; all variables that are passed to the function must be accessed via _this. Common practice for defining parameters is done via the use of private variables and defined variables.